English: Warbling silverbill, black-rumped silverbill, silverbill; French: Capucin bec-d'argent; German: Silberschnabelchen; Spanish: Monjita Pico-de-plata. 3.9-4.5 in (10-11.5 cm). 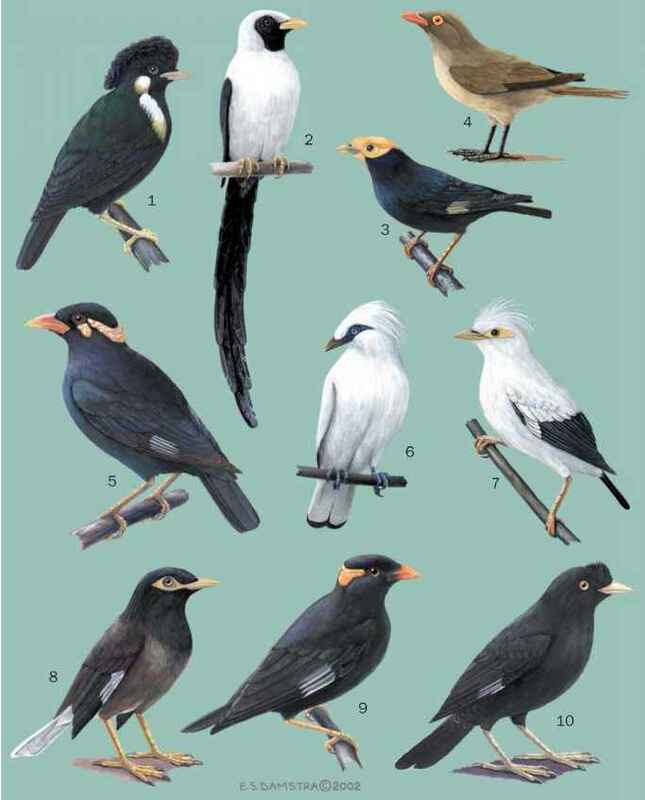 Sexes indistinguishable; brown, belly white, rump and tail black. Juveniles have slightly paler under-parts. Southern Mauritania, east to Eritrea, south to northeastern Tanzania. Two Asian populations, one in southern Saudi Arabia and western Yemen, and one in southern Oman. Introduced populations are established in Hawaii and Puerto Rico. 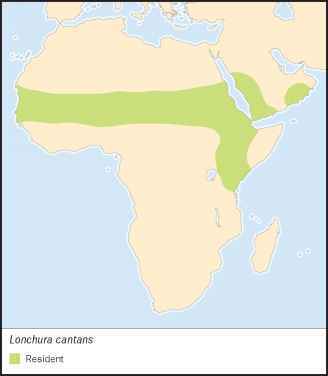 Can be found in dry savanna, thorn scrub, acacia woodland, semi-desert, and inhabited or cultivated areas, usually near a water source. song is a series of rising and falling trills for which it is sometimes called the warbling silverbill. Feeds on grass seeds picked from the growing plant or off the ground. Although it has been reported to eat aphids, insects are not a major part of its diet. This has been supported by captive birds, which rear their young solely on vegetable matter. Uses old weaver nests or sometimes builds a round nest of grass where three to six white eggs are incubated for 11-13 days.